China’s embattled telecommunications firm and smartphone maker Huawei Technology Co. Ltd. is rolling up its sleeves, vowing to push on with its 5G network development despite its technology being banned by several Western nations. Huawei Chairman Liang Hua told media Tuesday that the firm’s operations remain “normal” even as it faces a “complicated environment” stemming from the bans and the recent arrest of Chief Financial Officer Meng Wanzhou. To that end, Huawei is planning to release its first 5G-enabled smartphone in the first half of next year, and will achieve “commercial scale” of those phones by the second half of 2019, Liang said. Huawei has hit the headlines repeatedly this year for all the wrong reasons. Several Western nations, led by the United States, have banned government agencies from buying its networking products in the past 12 months, citing concerns about security vulnerabilities and the company’s ties to China’s military. Last week, the Czech Republic Prime Minister Andrej Babis ordered his office to stop using Huawei phones. Also last week, French telecommunications firm Orange SA said it will remove Huawei equipment from the most sensitive parts of its networks. Meanwhile, the U.K.’s BT Group Plc recently said it plans to do the same. Meng’s arrest was apparently unrelated to the security fears over Huawei’s products. Instead, she has been accused of violating U.S. sanctions on Iran. 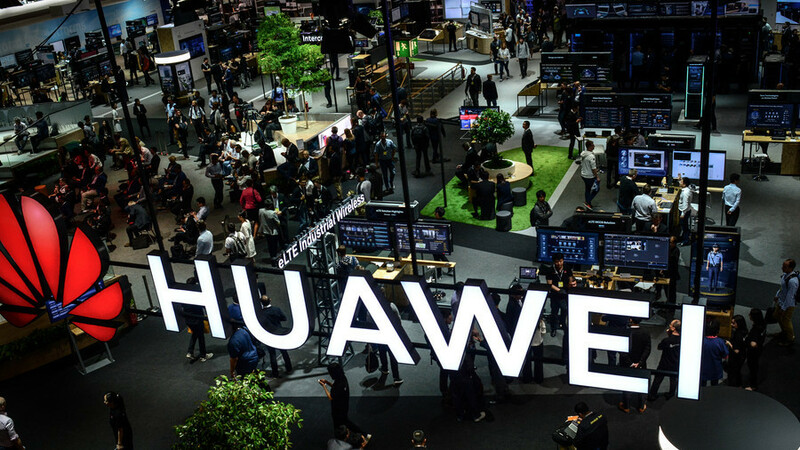 Despite these setbacks, Liang told media that Huawei is still doing well on the 5G front and has been carrying out development and testing with several French and Japanese telecommunications operators. He added that the company will continue to invest in 5G in order to “seize opportunities” in building out information and communication technology infrastructure. Huawei’s smartphone business is also said to be doing well. The company this week reported it had sold over 200 million smartphones in 2018, a record high. Those numbers put Huawei ahead of Apple Inc. and make it the world’s second-largest smartphone maker, behind Samsung Electronics Ltd.